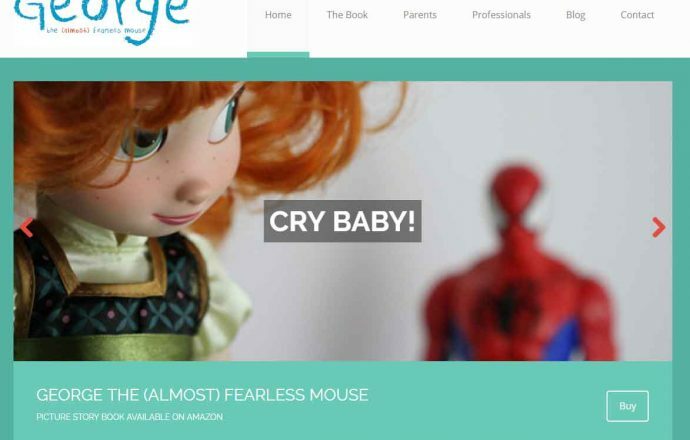 The George the (Almost) Fearless Mouse website, maintained by Senlac Hill Publishing, has two functions. First, it serves as an information board for the series of books about our delightful little hero, George. Second, it serves as a platform for parents and professionals, such as teachers and health workers and those responsible for wellbeing in schools, where they can learn more about high sensitivity. It is estimated that around one in five children each year are born highly sensitive, yet very few parents and professionals know anything about it. The George series publishes great picture book stories that all children can enjoy, but they contain special advice for the highly sensitive child (HSC) that helps him or her to understand the particular issues with which they have to deal with every day. The first in the series, George the (Almost) Fearless Mouse: Isn’t Afraid of the Dark, is a book that can help any child with a fear of the dark yet is it extremely common among HSCs. SHP is committed to helping to raise awareness of the issues faced by HSCs across the world both in school and at home so that parents, guardians, teachers, and other professionals will know the best responses as circumstances arise with each affected child. All HSCs grow up to become HSPs (highly sensitive people) and tackling the issues early in childhood can considerably improve happiness and wellbeing both in both childhood and in later life. The issues never go away but they can be effectively managed with the right strategies.